On Wednesday, the Washington Post published an article on the absence of women on the writing staff of The X-Files. Its author, Sonia Rao, pointed out that all of the writers for the upcoming eleventh season—including creator Chris Carter, Darin Morgan, Glen Morgan, James Wong, and three newcomers who had worked on the series as assistants—are men, adding: “It’s an industry tradition for television writers to rise through the ranks in this manner, so Carter’s choices were to be expected. But in 2017, it’s worth asking: How is there a major network drama that’s so dominated by male voices?” It’s a good question. The network didn’t comment, but Gillian Anderson responded on Twitter: “I too look forward to the day when the numbers are different.” In the same tweet, she noted that out of over two hundred episodes, only two were directed by women, one of whom was Anderson herself. (The other was Michelle MacLaren, who has since gone on to great things in partnership with Vince Gilligan.) Not surprisingly, there was also a distinct lack of female writers on the show’s original run, with just a few episodes written by women, including Anderson, Sara B. Cooper, and Kim Newton, the latter of whom, along with Darin Morgan, was responsible for one of my favorite installments, “Quagmire.” And you could argue that their continued scarcity is due to a kind of category selection, in which we tend to hire people who look like those who have filled similar roles in the past. It’s largely unconscious, but no less harmful, and I say this as a fan of a show that means more to me than just about any other television series in history. I’ve often said elsewhere that Dana Scully might be my favorite fictional character in any medium, but I’m also operating from a skewed sample set. If you’re a lifelong fan of a show like The X-Files, you tend to repeatedly revisit your favorite episodes, but you probably never rewatch the ones that were mediocre or worse, which leads to an inevitable distortion. My picture of Scully is constructed out of four great Darin Morgan episodes, a tiny slice of the mytharc, and a dozen standout casefiles like “Pusher” and even “Triangle.” I’ve watched each of these episodes countless times, so that’s the version of the series that I remember—but it isn’t necessarily the show that actually exists. A viewer who randomly tunes into a rerun on syndication is much more likely to see Scully on an average week than in “War of the Coprophages,” and in many episodes, unfortunately, she’s little more than a foil for her partner or a convenient victim to be rescued. (Darin Morgan, who understood Scully better than anyone, seems to have gravitated toward her in part out of his barely hidden contempt for Mulder.) Despite these flaws, Scully still came to mean the world to thousands of viewers, including young women whom she inspired to go into medicine and the sciences. Gillian Anderson herself is deeply conscious of this, and this seems to have contributed to her refreshing candor here, as well as on such related issues as the fact that she was initially offered half of David Duchovny’s salary to return. Anderson understands exactly how much she means to us, and she’s conducted herself accordingly. The fact that the vast majority of the show’s episodes were written by men also seems to have fed into one of its least appealing qualities, which was how Scully’s body—and particularly her reproductive system—was repeatedly used as a plot point. Part of this was accidental: Anderson’s pregnancy had to be written into the second season, and the writers ended up with an abduction arc with a medical subtext that became hopelessly messy later on. It may not have been planned that way, any more than anything else on this show ever was, but it had the additional misfortune of being tethered to a conspiracy storyline for which it was expected to provide narrative clarity. After the third season, nobody could keep track of the players and their motivations, so Scully’s cancer and fertility issues were pressed into service as a kind of emotional index to the rest. These were pragmatic choices, but they were also oddly callous, especially as their dramatic returns continued to diminish. And in its use of a female character’s suffering to motivate a male protagonist, it was unfortunately ahead of the curve. When you imagine flipping the narrative so that Mulder, not Scully, was one whose body was under discussion, you see how unthinkable this would have been. It’s exactly the kind of unexamined notion that comes out of a roomful of writers who are all operating with the same assumptions. It isn’t just a matter of taste or respect, but of storytelling, and in retrospect, the show’s steady decline seems inseparable from the monotony of its creative voices. And this might be the most damning argument of all. Even before the return of Twin Peaks reminded us of how good this sort of revival could be, the tenth season of The X-Files was a crushing disappointment. It had exactly one good episode, written, not coincidentally, by Darin Morgan, and featuring Scully at her sharpest and most joyous. Its one attempt at a new female character, despite the best efforts of Lauren Ambrose, was a frustrating misfire. Almost from the start, it was clear that Chris Carter didn’t have a secret plan for saving the show, and that he’d already used up all his ideas over the course of nine increasingly tenuous seasons. It’s tempting to say that the show had burned though all of its possible plotlines, but that’s ridiculous. This was a series that had all of science fiction, fantasy, and horror at its disposal, combined with the conspiracy thriller and the procedural, and it should have been inexhaustible. It wasn’t the show that got tired, but its writers. Opening up the staff to a more diverse set of talents would have gone a long way toward addressing this. 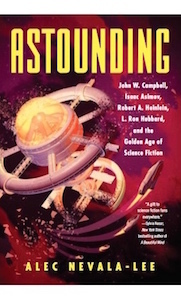 (The history of science fiction is as good an illustration as any of the fact that diversity is good for everyone, not simply its obvious beneficiaries. Editors and showrunners who don’t promote it end up paying a creative price in the long run.) For a show about extreme possibilities, it settled for formula distressingly often, and it would have benefited from adding a wider range of perspectives—particularly from writers with backgrounds that have historically offered insight into such matters as dealing with oppressive, impersonal institutions, which is what the show was allegedly about. It isn’t too late. But we might have to wait for the twelfth season. My sketches…are very free and expressive, yet pretty well-informed in terms of scale. I’m sketching with information…It’s not just arbitrary. It comes out of a brain informed about the program, the scale, the size. It’s hard to say all these important things are in it, but they are. Something’s informing this hand to move like that. It doesn’t just happen. There’s a relevance to the images, and I start building on that.